"We’ve created a space where the rules are minimalistic, yet the games that can be played are endless." Why is mathematics so complicated? It’s a question many students will ask while grappling with a particularly complex calculus problem – and their teachers will probably echo while setting or marking tests. It wasn’t always this way. Many fields of mathematics germinated from the study of real world problems, before the underlying rules and concepts were identified. These rules and concepts were then defined as abstract structures. For instance, algebra, the part of mathematics in which letters and other general symbols are used to represent numbers and quantities in formulas and equations was born from solving problems in arithmetic. Geometry emerged as people worked to solve problems dealing with distances and area in the real world. That process of moving from the concrete to the abstract scenario is known, appropriately enough, as abstraction. Through abstraction, the underlying essence of a mathematical concept can be extracted. People no longer have to depend on real world objects, as was once the case, to solve a mathematical puzzle. They can now generalise to have wider applications or by matching it to other structures can illuminate similar phenomena. An example is the adding of integers, fractions, complex numbers, vectors and matrices. The concept is the same, but the applications are different. Also read: Here's how anyone can become a maths whizz with Pólya's method! Harry Zandberg Wiggins, Lecturer, University of Pretoria. This article was originally published on The Conversation. Read the original article. 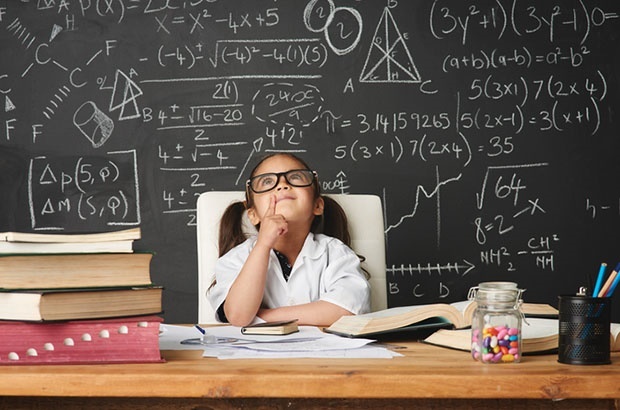 Do you believe that abstract thinking is the key to children being able to understand and cope with maths? Tell us by commenting below or emailing chatback@parent24.com and we may publish your comments.